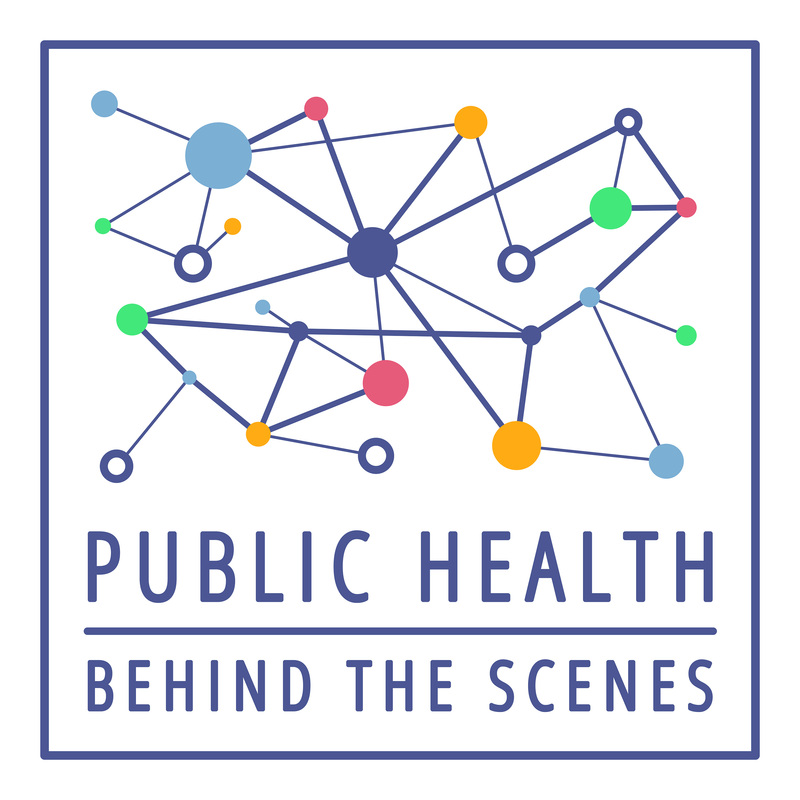 A podcast featuring stories and public health perspectives on the issues that affect our lives. In this episode you’ll hear stories about how people got involved in working with refugee and immigrant groups and the ways in which they are helping. We hope after hearing their stories here you’ll also be inspired to act. If you like what you hear, please subscribe on iTunes. A note from the hosts: Whether you’re based in the U.S., or somewhere else in the world, chances are you able to connect in some way to refugees in your community. The best place to start is by looking to the websites of resettlement agencies in your area who may have some ideas of unique needs in that area, or partners they work with that can help. If you would like to help the refugee and immigrant communities in the Triangle and Greensboro areas in North Carolina, you can reach out directly to the folks we talked to (using links below). Jessica: Thank you for listening to Public Health Behind the Scenes, this is the final part of the three part series on the refugee crisis. Naya: So far we’ve heard perspectives from people working within countries in conflict, as well as people who work to support the resettlement process. We’ve also had the opportunity to listen to newly arrived refugees and hear their stories about what the resettlement process has been like. Jessica: If you haven’t heard their stories yet, please go back and listen when you have a chance. It’s those stories and their request that we don’t just listen, but try to do something to help. Naya: In this episode you’ll hear stories about how people got involved and the ways in which they are helping. We hope after hearing their stories here you will be inspired to act. Josh Hinson: We launched a graduate certificate in Global Transmigration at the School of Social Work in partnership with the Center for Global Initiatives in 2012, the idea being that this would be an interdisciplinary certificate for graduate and professional students at UNC-Chapel Hill to study issues of migration anywhere in the world (internally displaced people, refugees, migrants, migrant farm workers, any issues). Naya: That’s Josh Hinson, clinical assistant professor in the School of Social Work. In episode 4 he talked about his and his students’ work providing mental health screenings for refugees in Raleigh, but here’s how the Refugee Wellness Initiative, and ultimately the Raleigh Immigrant Community Group, came to be. Josh Hinson: In 2013, I applied for an Armfield Reeves Innovation Fund grant from the School of Social Work to start a field unit where by we would partner with one resettlement agency (Church World Service, CWS) in Durham and we would have a team of students who rather than being placed in agency would be placed with me and we would receive referrals from the resettlement agency. We were told by the developers of the instrument and by others doing refugee work across the country to expect about an 80% declination rate (or 20% agree to participate) and almost exactly the opposite was true for us, about 80% of the 90 or so people who were resettled by Church World Service that year said they did want a screening and I think we had about a 68% positive screening (an indication that people had enough emotional distress that some sort of mental health treatment was indicated). Jessica: One of the students helping Josh with program logistics was Abbie Heffelfinger. As is sometimes the case in identifying places to work, it all just somehow happened by chance. Abbie Heffelfinger: I got this research award at the school of social work and you have to go through the list of internship options or research assistantship options and pick one and I had never done any work with refugees before at all, and I saw this on the list and had heard fantastic things about Josh Hinson and was like this sounds great. Working on global issues here in North Carolina, that’s what I’m going to do. And then it sort of snowballed so I very quickly got super involved and was a research assistant all last year and had a community engagement fellowship which funded me to do additional work on the project this summer and also Triangle Community Foundation grant to do an organizational assessment with them. So, it went from casually getting involved with the program to being a really big part of my life. Jessica: Since that time, Abbie has helped steer other students in Josh’s direction. Amy Shipow is one of those students. She is a first year dual degree MSW-MPH student in the Maternal and Child Health Department here at the School of Public Health and is one of Josh’s newest research assistants. Amy Shipow: As part of my job, I help co-facilitate a Congolese community adjustment support group and I also help with the behind the scenes logistics: so that includes grant writing, ensuring work flow, helping with referrals, and cleaning data. What got me started was working in Israel with Eritrean asylum seekers. I was helping them with refugee status determination, which is a form that you have to fill out to apply to be a refugee. So I was working before pre-refugee status and then coming to the U.S. now I’m working with them post, which is such an interesting transition. To see the tenacity that it takes for both to get through this process and system and how many steps you have to take to get into the country, and once you’re here, the challenges and insurmountable barriers you face and yet the resilience. Naya: Beth Moracco, a research associate professor in the Health Behavior Department at UNC Gillings, also works with a group of refugee Congolese women in Greensboro, North Carolina. Her ties to the Congolese community go back to her days as a Peace Corps volunteer in the Congo (then known as Zaire). She spent two years in the Congo with Peace Corps and stayed for three more years before coming back to the states. Beth Moracco: My colleague contacted me because she knew that I had been a Peace Corps volunteer in the Congo many years ago and that I do work in gender based violence, and that many of the refugees had experienced gender based violence. So a group of us got together including my colleague from UNC-G, colleagues at UNC-G who are at the Center for New North Carolinians, a colleague who is at NC A&T, which is an HBC in Greensboro, who is in their social work program who has also done quite a bit of work with African refugees, and folks from Church World Service and also from Piedmont Family Services which is a local community based agency in Greensboro. We met among ourselves and then we just met with a group of the women who had arrived in Greensboro and we asked them what would be most helpful for them. Naya: That’s it. Asking the people who need help… what would be most helpful to them. That’s the most important thing you can do. Only then can you know whether you’re getting right, really helping them in ways they need it most. Beth Moracco: And what kind of evolved was a series of monthly gatherings where we gather in one of the women’s apartments, everybody brings food, we spend a couple of hours talking and checking in with everyone. Talking about what some of their needs and hopes and aspirations are and sharing that; kind of an informal focus group and we have been doing that since November of 2014. Jessica: Another option for students, in addition to research, is to get involved in helping refugee and immigrant communities through activities organized by student groups. Jessica Tufte (you heard from her in Episode 4), is leading this initiative at UNC and working on a toolkit that others interested in starting similar initiatives could pick up and implement in their own communities. Jessica Tufte: So the Refugee Health Initiative (RHI) is something that when I came here I was really pleasantly surprised that it existed and that students were making a movement to make a difference in the health of refugees. I remember that being one of the more challenging parts of resettlement, is trying to help them understand why the medical system works the way it does, why it doesn’t work the way it doesn’t, and how to navigate that system and also to realize how it is often changing, especially with eligibility criteria changing depending on how much money you make it can be very complicated to figure that part out. I feel honored to be helping to run the Refugee Health Initiative and trying to continue it going as strong as it was when I got here. Naya: Jessica isn’t the only student doing great things! Kate Abraham and Whitley Raney are two students who live in an apartment complex in Durham where many refugees are resettled. Kate, a dual-degree MD/MPH student, got involved through her work with a free clinic in Durham providing free care to the community. Kate Abraham: We started building relationships with some of the neighbors that wanted to be able to help more and build a relationship more than just a friend who visited them once a week. I started thinking about moving in and started contacting local churches for help and getting a team of people together who would be interested in living there. Jessica: At the same time, Whitley Raney was searching for a place to live that offered the same type of community feel she experienced while living in Mexico. Whitley Raney: So before I moved to Durham I was living in Mexico and when I moved back to North Carolina I didn’t really know many people, I really was lacking the community that I’d had in Mexico. All of my friends had lived within two blocks of each other everyone was in and out of each others houses all the time. I realized how much I valued that, and so moving here when I found Oak Creek I saw that kind of community and that kind of communal living, people sharing life with each other and that was really important to me, so that’s how I initially moved in. I wanted to meet other Mexican families, I missed Mexican food, there was a lot of life going on and I was working as an interpreter at Samaritan Health Center, and that’s right next door to the apartments I live in now. So I kind of got in to it that way and then met a lot of refugee families because they happened to be my neighbors, but that wasn’t necessarily originally the reason that I moved there. Naya: And from there, Whitley, Kate and others living in the apartment complex, became a part of the community. Soon, their new neighbors quickly became friends, and then even like family. Jessica: They looked out for one another and because Whitley and Kate were there for more than just a moment at a time, they were able to help as various needs came up. Kate Abraham: Like even picking up a kid from school – a child will be at school throwing up – this happened a couple months ago and we didn’t know because we’re not their parents, but the parents knew but couldn’t do anything because the only family car is at work with the dad who can’t leave his job because that’s the income that he has to make for their six children, and the mom can’t get to school because the schools not on a public bus route and it just gets really complicated. Jessica: From helping to check children’s school folders and making sure field trip consent forms are signed, to giving rides to doctor appointments or to the grocery story, providing child care if a family needs to be somewhere, helping with college admission essays and even starting clubs for the girls and boys to get together after school, but what is so cool to hear is that as much as Kate and Whitley do for their neighbors, they are also getting so much in return. Kate Abraham: So it definitely is not a one way like we came in and gave all these things to our neighbors, but it was like a mutual relationship where they were feeding me dinner … I’m not very good at cooking. They were loving me and caring for me in their own way while I did my best to love and care for them. And I would just love to be a pediatrician and I’ve found at med school you kind of like pulled away from patients during your classroom years when you’re learning and you don’t really have as much patient contact, but in Oak Creek it was the opposite. I could be around the people I wanted to serve in the future and learn about them in other ways besides a medical diagnosis in a textbook. Learning about barriers to healthcare, or why a certain group is more likely to have a certain problem. Naya: These are just a few examples of how people have worked to connect into communities in need and found ways to help. Jessica: But there is more we can do. Our hope with this episode is to highlight some of the needs and maybe you’ll hear of a way you might be able to help. Beth Moracco: I can tell you what some of the needs are. Sewing machines. Many of the women can sew. Also, the thing we hear from women over and over again is the opportunity to learn English. Because the way the resettlement process works they really need to be employed within six weeks of getting here and so even though there are some opportunities to take English classes, once they start working it’s really difficult. So that’s what we’ve heard more than anything, they want to learn English so that they can get better jobs. Many of them are working as housekeepers in the local hotel so that they can talk to their kid’s teachers, things like that. So you know it would be great if there were volunteer English tutors, or people who’d be willing to do a class on a Saturday or a day that the women don’t work. The other thing that they’ve talked about is computer skills, learning more about how to use computers. Jessica: That would make a tremendous difference for the Greensboro group. What about the Raleigh Immigrant Community group, the newly arrived refugees we spoke with in episode four? We asked Amy to help us identify what the group needs most. Amy Shipow: So, as you heard, the Raleigh Immigrant Community is up and running and doing great things, but we need your help. We’re looking for space in Raleigh, ideally by a bus line, financial planning and assistance, as well as a website developer. So if you think you can help us, please reach out. Naya: And what about the Refugee Health Initiative, the student group at UNC working to facilitate connections to refugee and immigrant communities? Jessie Tufte: It’s a volunteer program where volunteers are matched together, so there’s two of you, and you’re paired with a refugee family for the semester. And it only takes about an hour a week of you meeting with an interpreter and a refugee family and teaching them how to navigate the American health care system and also how to practice preventative health measures. I participated with a few families last year as a volunteer and really it’s an awesome program. It really gives you an idea of what it’s like and also is so important in the lives of the people you’re matched with, it makes a huge difference. And it’s really a minimal time commitment. I mean I was doing it Saturday mornings from 10 – 11 and it’s something I actually looked forward to every week, and at first even I thought it was going to be something that was slightly burdensome and it was actually a really pleasant experience. And that’s what I hear from those doing it now and those who were doing it alongside me last year. So I highly encourage those who are interested to check out, you can email me at refugeehealth.unc@gmail.com and we check that pretty much every day and we would be happy to have you as there are always more families who need volunteers from this program than we can provide. Naya: And if you can’t provide a skill or object? Kate Abraham: Focusing on building relationships with families and maybe not serving really large numbers of people but serving a few families in a few capacities and really doing that well and being consistent and loving and caring in whatever you choose to do I think that consistency is really important and part of why our service has been so effective living in the neighborhood because it really increases the time we get to spend with people. So I would say, just selecting a small number of people to serve and serving them well and serving them consistently would be important. And then by serving is doesn’t even mean providing things or money, it could just be visiting and asking how their day is going and spending time with them. Abbie Heffelfinger: I think sometimes it’s easy to forget when people don’t speak English or when they’ve gone through something really traumatic or when they live in poor neighborhoods or apartments how intelligent they are. It sounds like something really silly, but it’s just true. Amy Shipow: Despite all the challenges that refugees face, it should be noted that they are extremely resilient and the fact that they are vibrant, intelligent, contributing members who want to be a part of our society and who want to maintain their culture and who are really humbled and grateful for the fact that they’re here and just want the opportunity to thrive. Naya: This episode was produced by Naya Villarreal, Jessica Southwell, Natalie Smith, and Branson Moore. For a list of concrete ways you can help, visit our website, publichealthpodcast.com. In the show notes for this episode, you’ll find various ways to volunteer your time, donate items you no longer need, and other ways you can make an important impact in the lives of many. Jessica: Last, thank you so much to everyone who made this series on the Refugee Crisis possible. We know there are so many of you around the world working to improve their lives, so let us know what you’re up to. We’re now on Facebook! Our hope is that it will give us one more place to connect and share resources and what else can be done. And as always, if you like what you heard, tell a friend and subscribe to us on iTunes. Thanks.